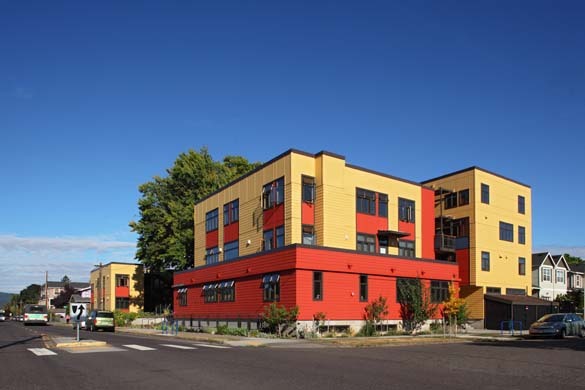 Daybreak is a 30-unit cohousing community in Portland's Overlook neighborhood and was completed Fall 2009. Daybreak provides numerous opportunities for rich community interaction, as well as serving the surrounding community as a model of sustainable living and design. 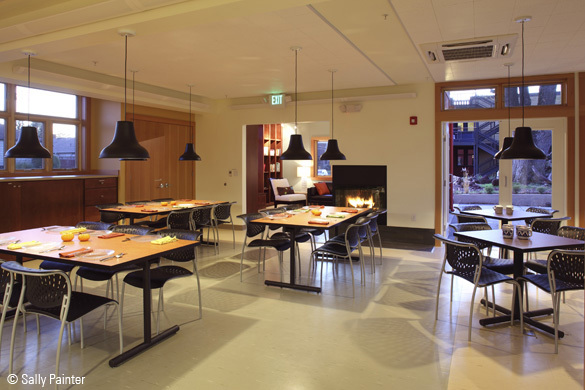 Residents live in compact, daylit flats and townhouses, and share the use of many community amenities, including a kids' playroom, a commercial kitchen and a dining room for group meals that occur 3 times/week. 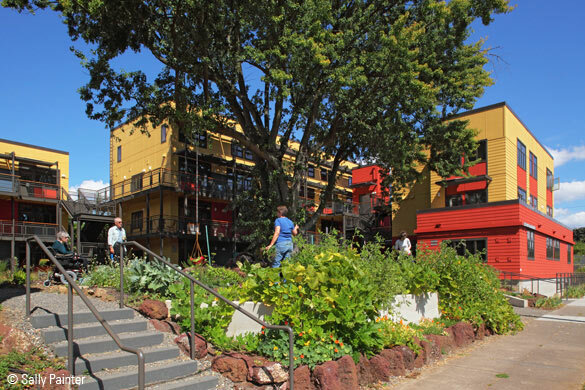 Please see the research tab of this website for information on cohousing.